Self-contained compost toilet systems feature a commode and compost chamber as a single unit. They do not need connections to a lower floor, but do require air vent tubes and urine-diversion pipes. Self-contained systems either accumulate waste material for removal to a different location for further composting (Separett), or they actively compost to a mature stage, at which point the compost can be removed (Sun-Mar). Please read on for further information about these systems. 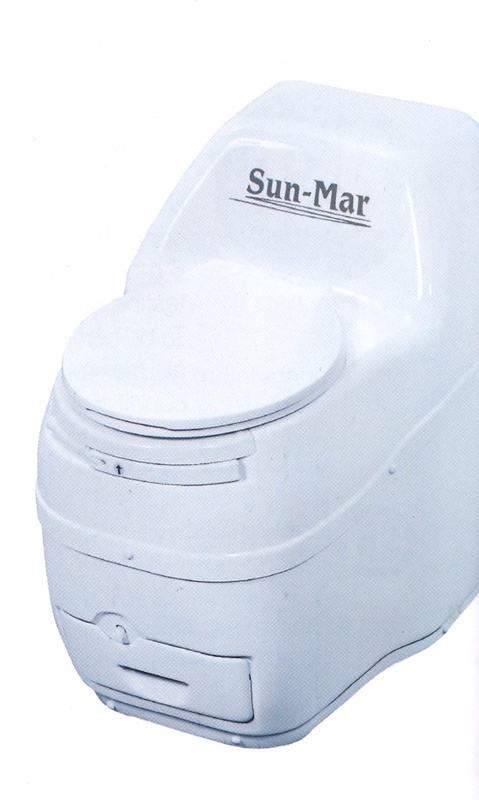 The self-contained Sun-Mar system consists of a waterless, small-bin toilet that contains a composting “bio-drum” that the user periodically turns by hand. A fan moves air through the bio-drum and through the evaporation chamber. An automatic electric heater evaporates excess liquids, resulting in a 90% reduction of the original waste. The average electrical use to run this system is 150 watts per hour. 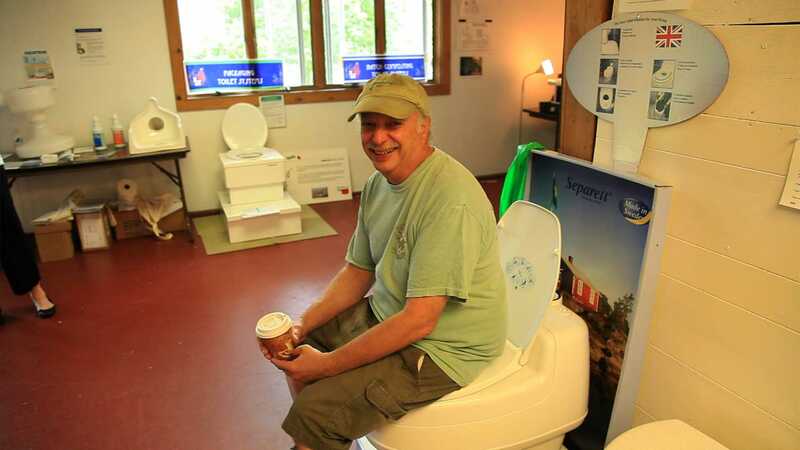 All Sun-Mar eco-toilet systems are approved in Massachusetts. Adding peat-based bulking material at the rate of one cup per person, per day. Rotating the drum backwards when it is one half full in order to release compost into the “finishing” drawer, where it is left to dry for 3 to 4 weeks. The compost drawer must be periodically emptied. The self-contained Separett system consists of a waterless, urine-diverting commode over a solid waste container. A small ventilation fan (2.5 watts per hour) circulates air from the bathroom, down through the commode, and out a wall or roof vent. The Separett’s fan is also available with a 12V, 2.5 watt fan for solar/battery power. The battery can operate for about two weeks. When the 6-gallon solid waste container is full, the user replaces it with an empty container— depending on the size of the household, about every 3 to 6 weeks. The contents can also be deposited into a batch composting system for further composting. Urine is piped to a storage tank for periodic removal. The urine-diverting component is under review and thus the Separett is not yet approved by Massachusetts. Removing the solid waste container when full, replacing it with an empty container, and placing the solid waste container in a ventilated area to further compost for two years. Removing the urine from storage tank. A sensor warns the user or maintenance service when pumping is required. More FAQs on installation and maintenance can be read here.